The King of Qwerty returns ,yes this is the same BlackBerry that once ruled the world of smart phones with fail proof security and craftsmanship that few can match in this world. But the rise of Android dethroned BlackBerry which failed to adapt itself to the changing trends and insisted on using it’s own OS, the BlackBerry OS .Thereby the company not only lost it’s prime position in the market but the whole plot of staying relevant in the emerging smartphone market. 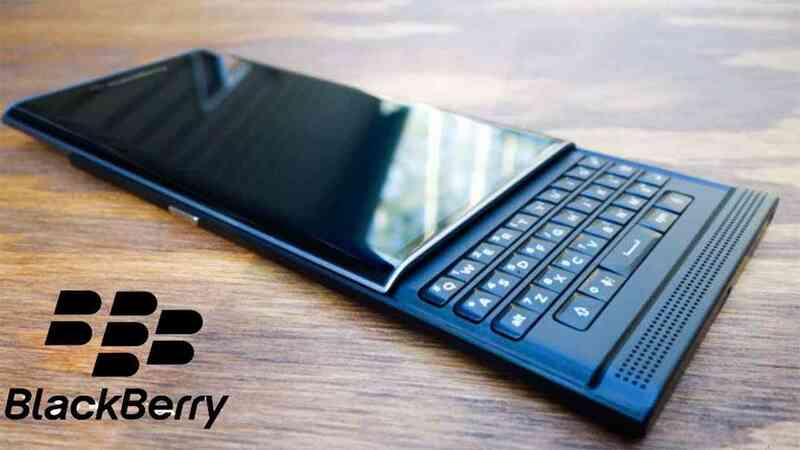 BlackBerry had announced the closure of it’s hardware arm recently and has outsourced it to third party manufacturers albeit BlackBerry is continuing to produce the software ,stamping the revamped phones with a mark of a traditional BlackBerry phone. Why was BlackBerry popular in those yesteryears ? The reason is simple when the company released their initial phones they catered to the people having the most influence on the society, the people who used BlackBerry were mostly business executives,lawyers,politicians and anyone who needed cellular communication for their profession. As a result BlackBerry became the only premium mobile you could buy in the pre smartphone era. • Security , BlackBerry phones are one of the safest when it comes to preventing snooping by the Governmental agencies. • Own email interface of BlackBerry which is a boon for any corporation . • BlackBerry messenger -BBM ,the forefather of WhatsApp. • Best keyboard for typing , introduced Qwerty in mobile phones for the first time. The best typing experience till date as stated by many of it’s former users. Fast-fact: The former President of the US, Mr. Barack Obama refused to give up his BlackBerry phone when he stepped in as the President and continued using his own BlackBerry till he stepped down as the President,the first time a President refused to give up his private phone , that’s the power of a BlackBerry. Style and form factor , sure it is a head turner. Typing , if this is what you are after ,look no further a BlackBerry with a Qwerty is the cosiest option out there. Hope you are familiar with the legacy of BlackBerry,here is the list of Blackberry phones that run Android apps . BlackBerry’s first attempt at the smartphone segment turned out pretty well, The BlackBerry DTEK60 flaunts a superb display with a 5.5-inch IPS LCD screen and a pixel density of 401 PPI which results in a full HD resolution of 1,080 x 1,920 pixels.This phone though a little bit outdated is a good choice if you are looking for a well built phone with stellar looks . If you want to own a phone which stands out from the rest then this square-shaped flagship from BlackBerry which features a 4.5-inch 1440 x 1400 display, 2.2GHz Qualcomm Snapdragon 801 processor, 3GB of RAM and 32GB of internal storage expandable with a microSD slot is the best option but the catch is,the phone is best suited for e-mails, spreadsheets and reports. Users who want the best of both the worlds can choose the BlackBerry KEYone which features a 4.5-inch IPS LCD display having a screen resolution of 1,080 x 1,620 pixels (433 PPI). It is covered by Corning Gorilla Glass v4 screen protection. Powered by a 2GHz Qualcomm Snapdragon 625 MSM8953 Octa Core processor assisted by 4GB of RAM and Adreno 506 graphics card.This is the latest BlackBerry you can lay your hands on and it is a popular choice. The smaller cousin of the DTEK60 is a good option for those who are looking for a secure smartphone as BlackBerry has added encryption at a system level in this device.The BlackBerry DTEK50 comes with a 5.2-inch IPS LCD Full HD (1,080 x 1,920 pixels) display and has a pixel density of 424 PPI. Powered by a Snapdragon 617 octa-core processor, 3GB of RAM and 16GB of internal storage (microSD card optional) is enough for day to day activities. In short this is the most powerful BlackBerry ever built . The modern smartphone in a BlackBerry Avatar , yes this is the phone to buy if you are a former BlackBerry user who switched to Android for the convenience it offers . The BlackBerry Key2 comes with a 4.5-inch IPS LCD display, which exhibits a stunning pixel density of 433 PPI. It is the result of an extraordinary 1080 x 1620 pixels of screen resolution. A fingerprint scanner is present at the side of the device.It offers a dual camera setup and this phone comes with a 12MP primary sensor with 1.3-micron pixels, an f/1.8 lens, dual phase-detection autofocus which gives it an edge over other competitors . To be launched in September in India with an expected price tag of 43,000 approx. All these phones are available at Amazon and ebay.in, make sure you buy from a reputed seller and be careful in selecting the right version which offers warranty and avoid refurbished ones at all cost as there are sellers who sell international refurbished editions which are void of warranty and spare parts . These are the BlackBerry phones that offer the Android experience tempered with the BlackBerry tag . We are confident that you will not regret buying any one of these and make merry with your BlackBerry and become a part of the “CrackBerry crowd “.